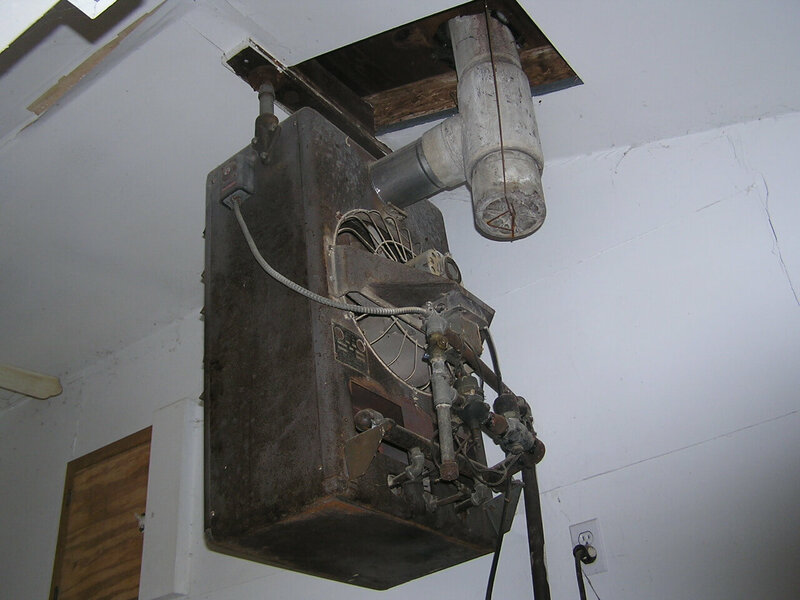 Transite asbestos was a common product used to vent gas appliances such as furnaces, boilers, and water heaters in older homes in Minnesota. 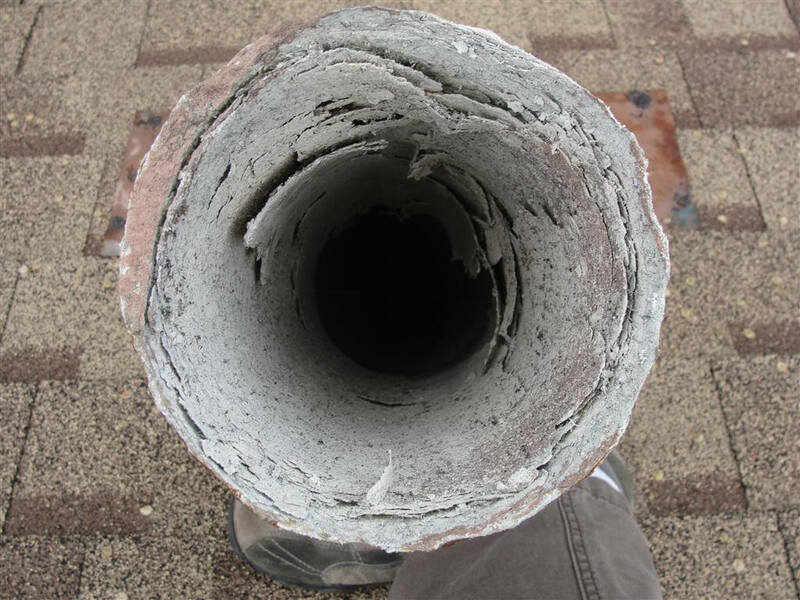 This material is no longer used because the interior of the vent can deteriorate and flake apart, collapsing in on itself. 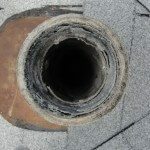 That, and it contains asbestos. 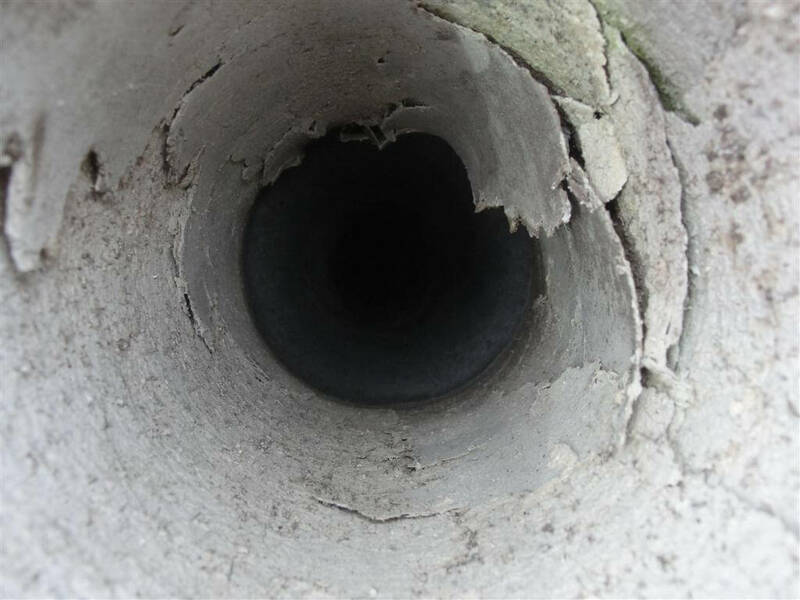 Once the interior of the flue deteriorates it can get blocked, causing hazardous exhaust gases from the appliance to vent back into the home, rather than be carried to the exterior. 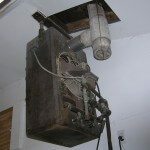 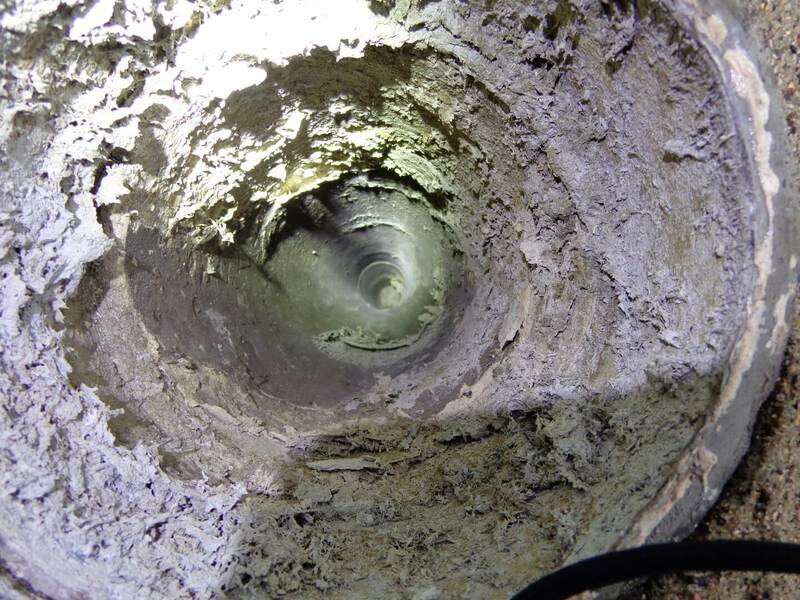 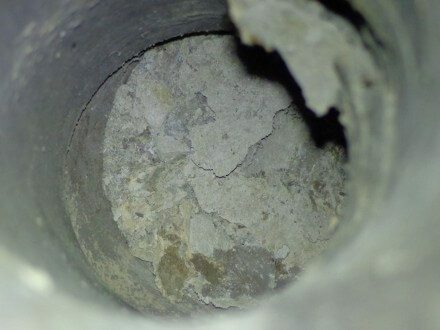 The photos below show a transite asbestos chimney flue liner found during an inspection of a 1955 built home in Columbia Heights. 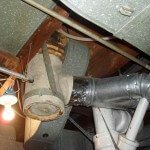 The top of the flue liner had fallen off the chimney, and the interior had collapsed in on itself, causing the water heater to backdraft. This first photo shows what the chimney looked like from the roof. 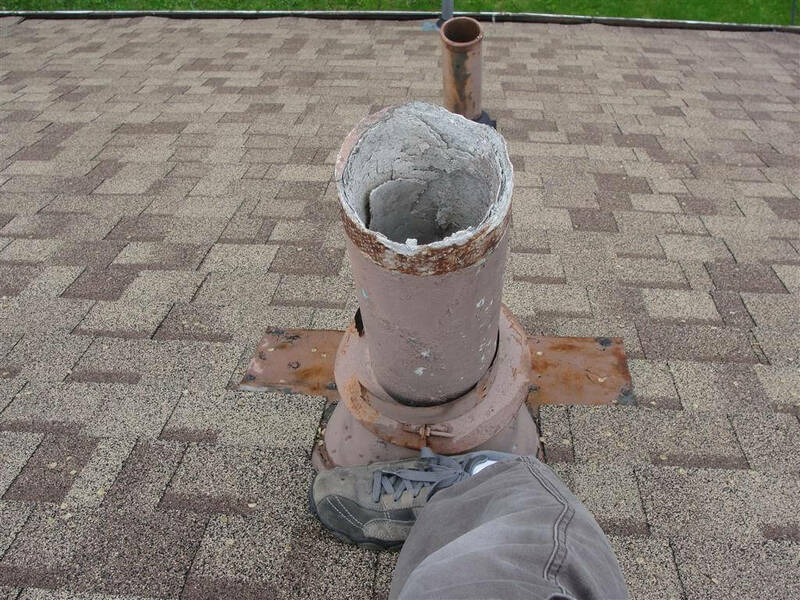 I had to bring a ladder onto the roof to get to the top of the chimney to get a look down the section on the far right. 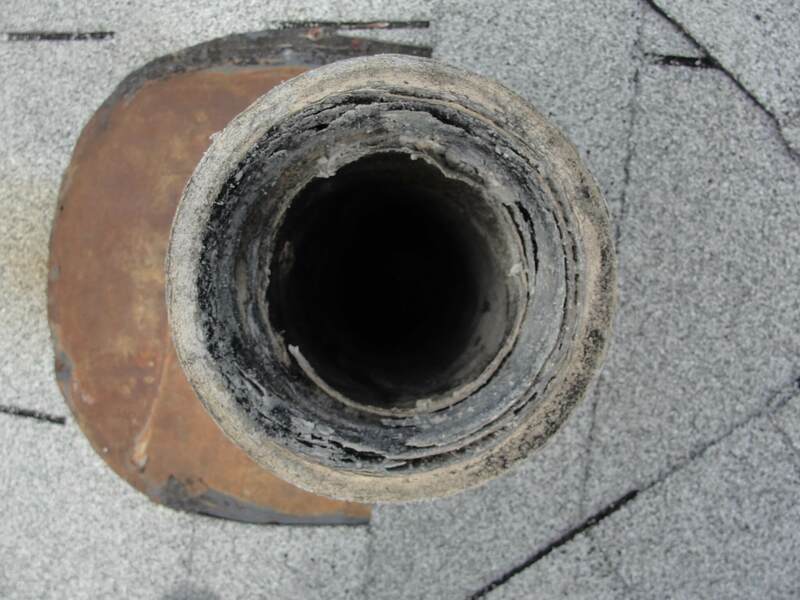 Here's the top section of the transite flue liner that had fallen off of the chimney. 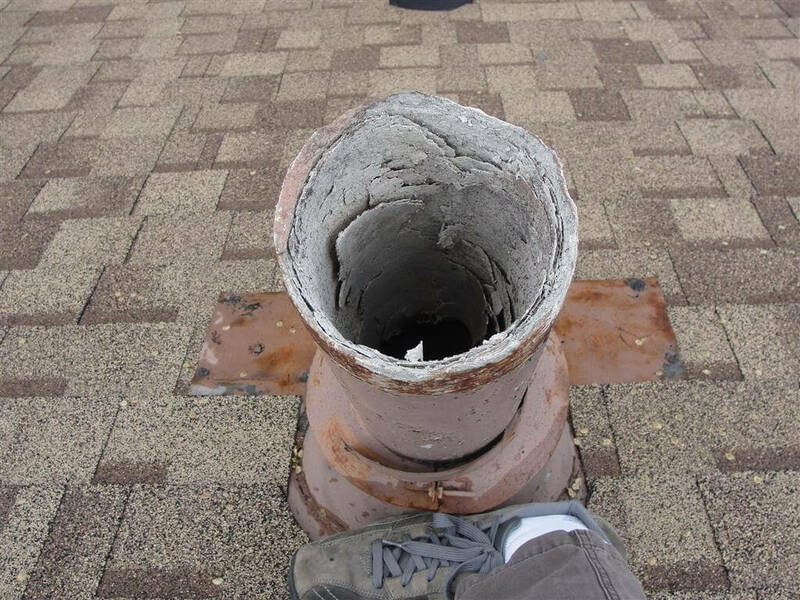 Here's another shot looking at the top of the chimney. Here are a couple of shots looking down the flue. 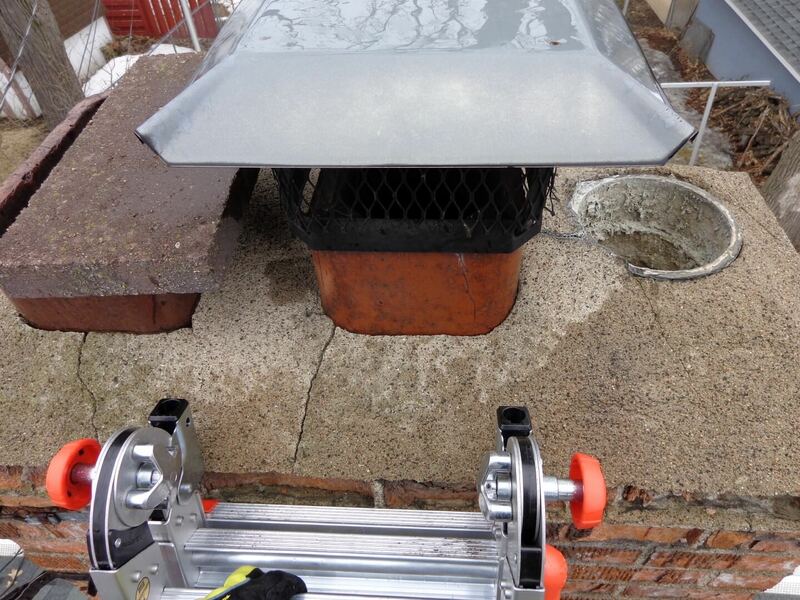 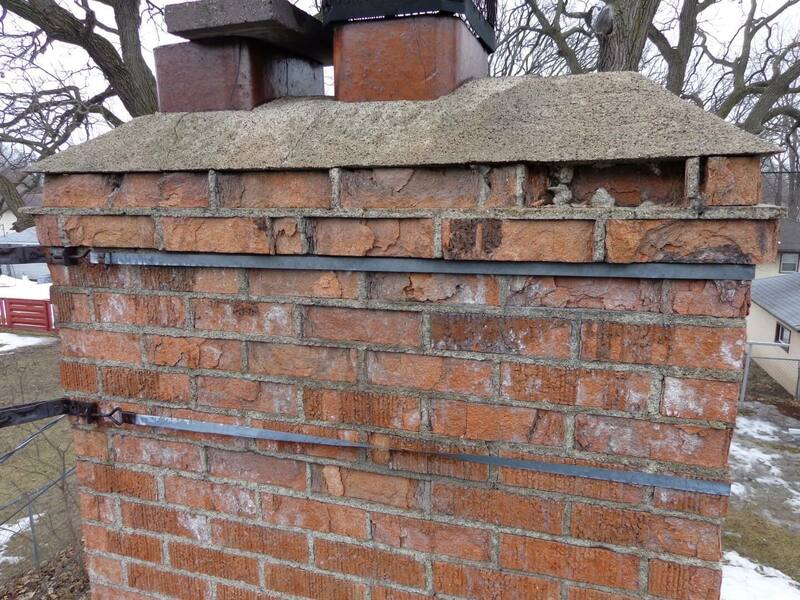 As you can see in the photo above, the interior had flaked apart and completely blocked the flue. 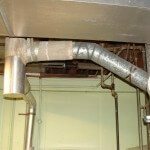 When the happens, the exhaust gases can't escape, so they go back into the home. 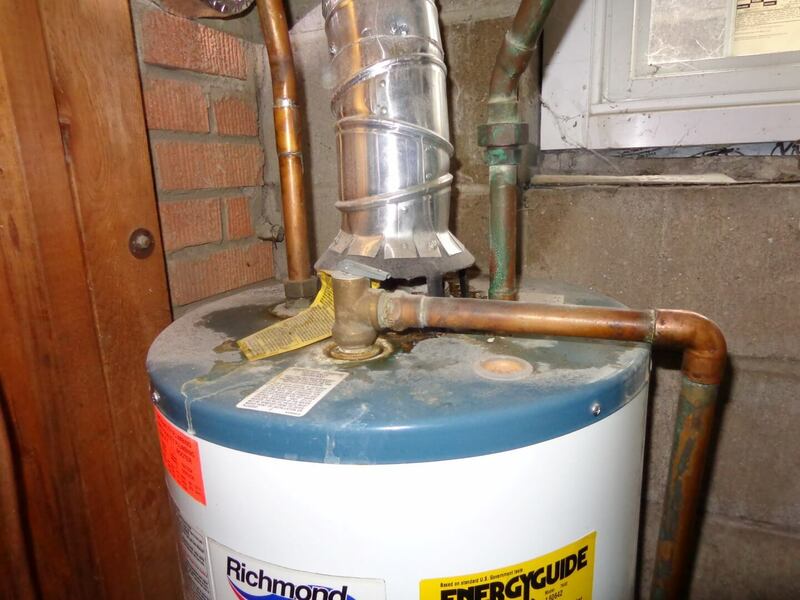 There was heavy rust staining on top of the water heater, which is a telltale sign that the water heater backdrafts. 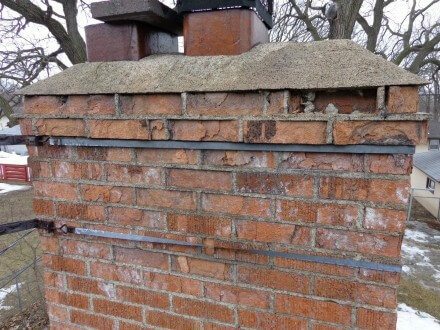 It doesn't get much more obvious than that. 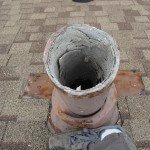 This fix is to leave the transite asbestos material in place, block the openings at the top and bottom of the chimney, and replace the water heater with either an electric unit or a powervent unit that can vent out the side of the house. 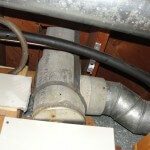 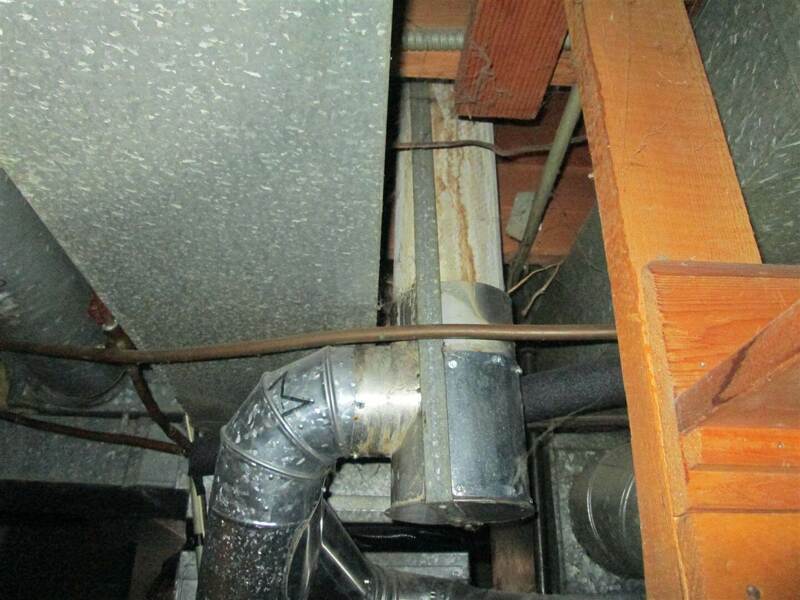 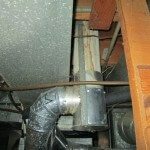 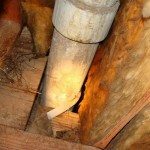 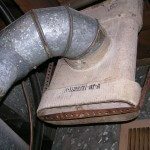 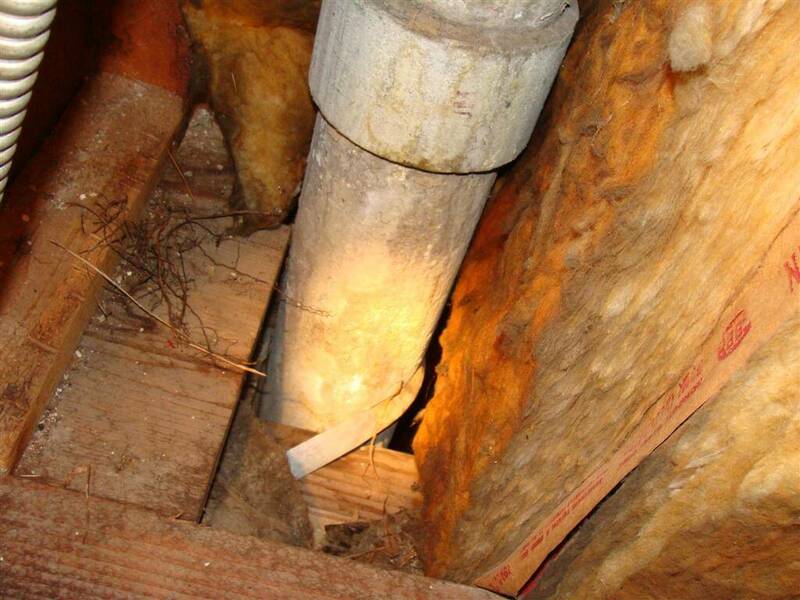 When buying a home with a transite asbestos flue liner / vent, be sure to have the interior of the flue inspected. If it's in pristine condition, as some of them still are, just plan to not use it again once the gas appliances that are connected to it are replaced. 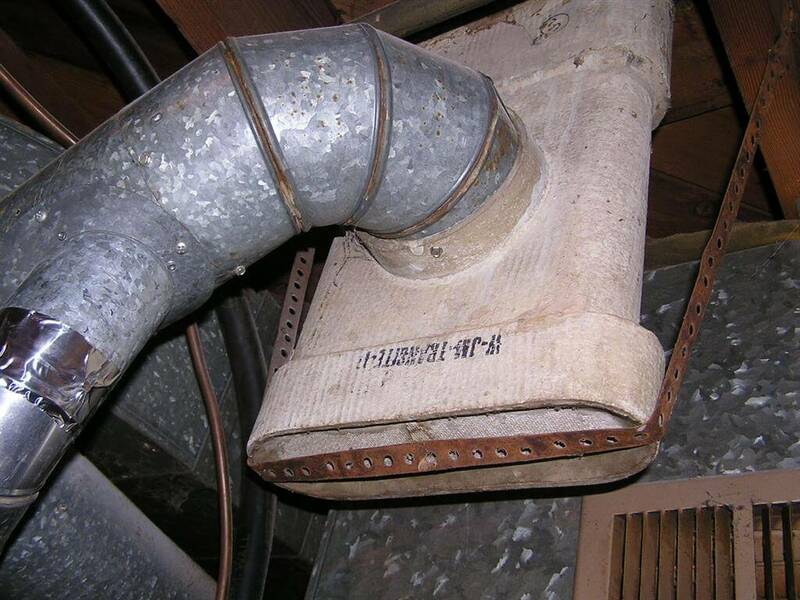 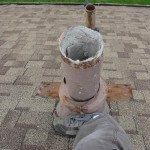 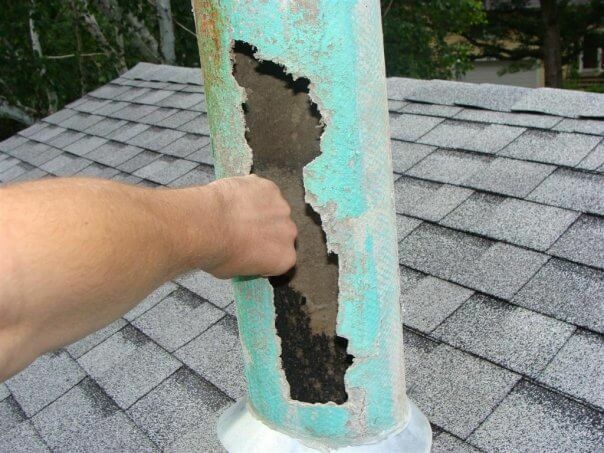 If the flue is deteriorated, have it abandoned immediately for safety. 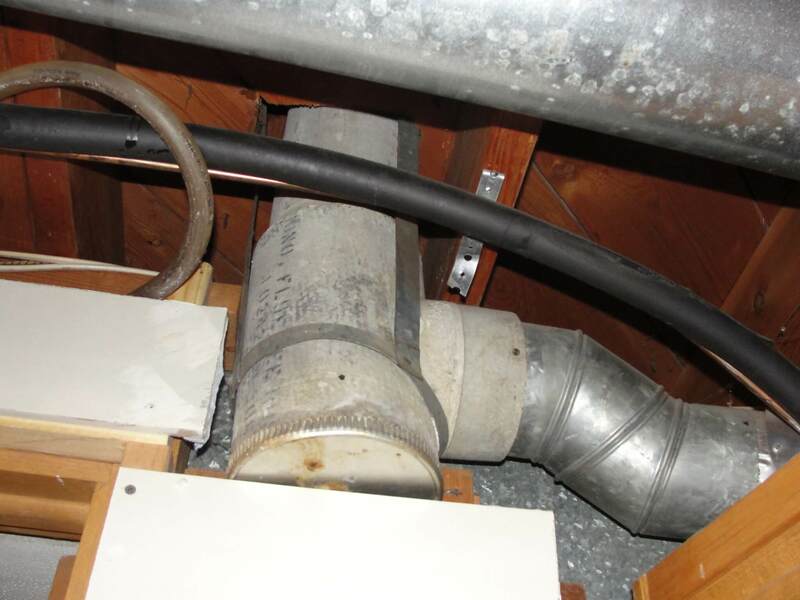 An HVAC contractor can help to figure out a different way to vent the existing appliances, or can replace the existing appliances with new ones that don't need to use the transite asbestos flue. 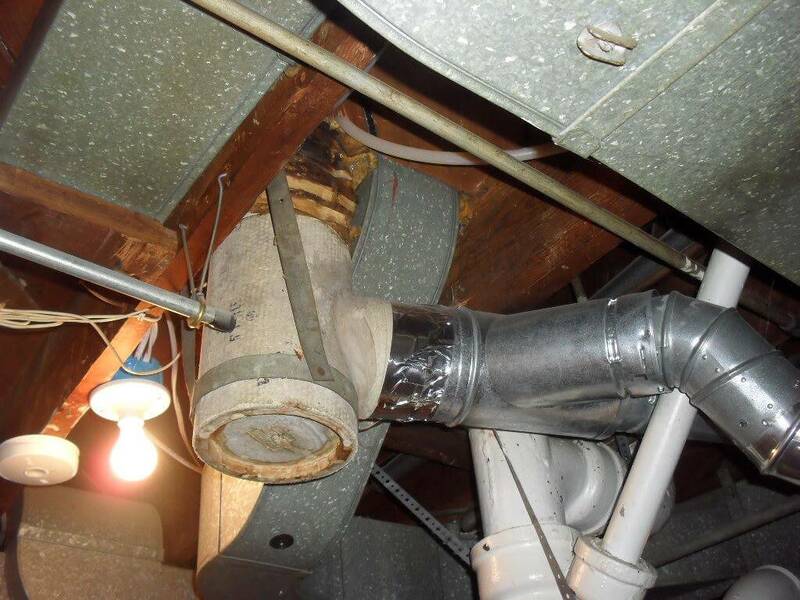 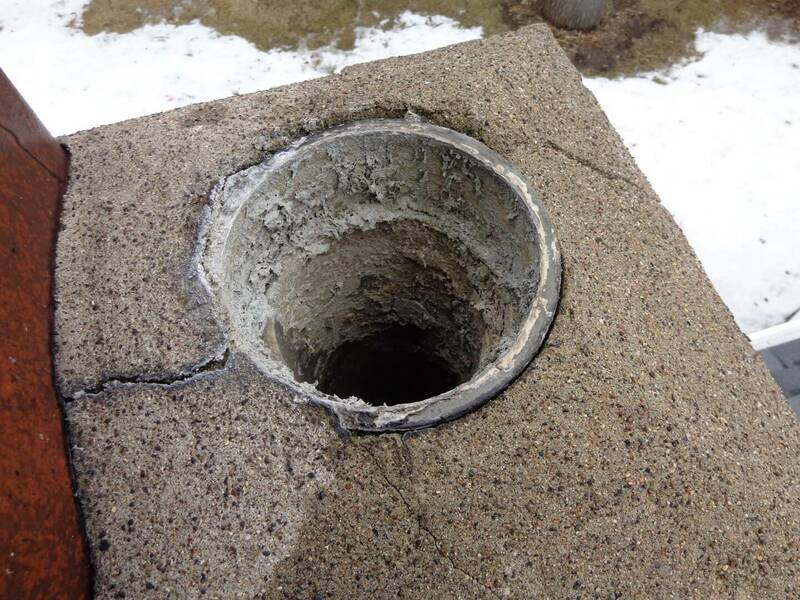 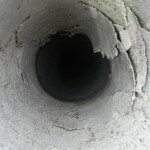 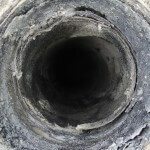 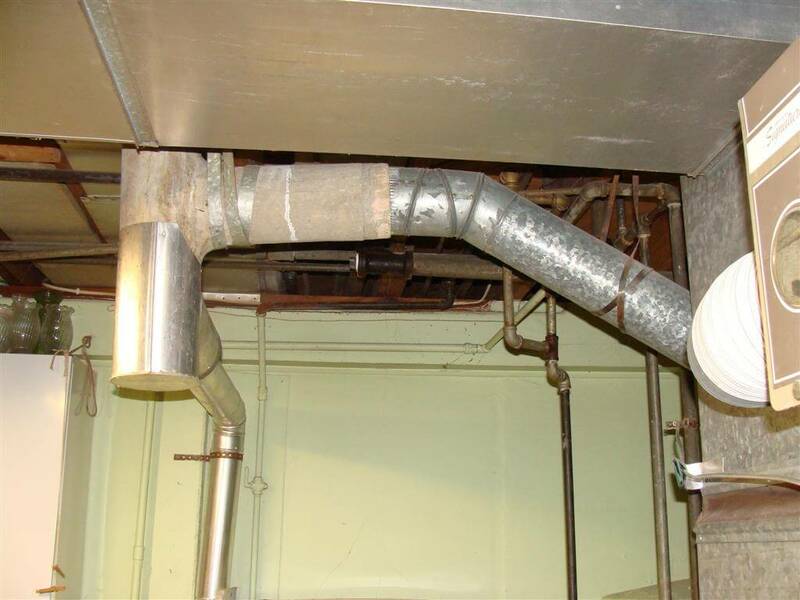 For anyone curious about what other transite asbestos flues looks like, check out the photo gallery below. 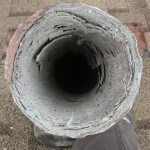 These are all transite asbestos flues that I've found while inspecting older homes, mostly in Minneapolis. 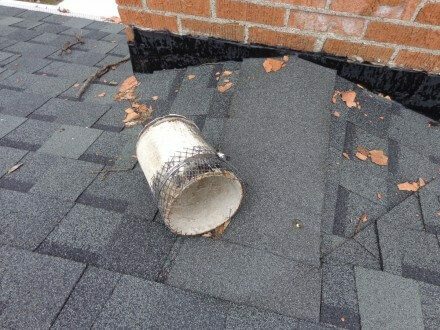 In each case, it's that white stuff. 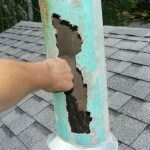 How Accurate is Exterior Moisture Testing?